While we were in town, The Tar Heels won twice, moving up to the Final Four. We didn’t spend any time watching the NCAA tournament this weekend, but there was no escaping the March Madness. 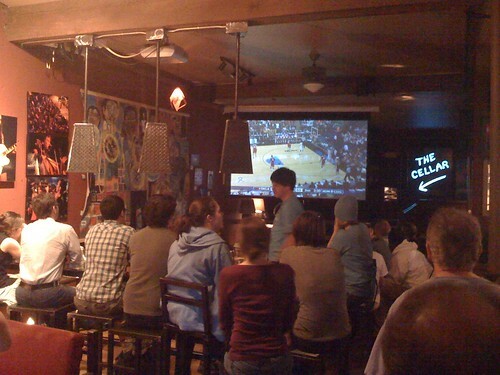 More than usual, Carolina Blue was on display all over town and even the local wine bar, West End, was jammed with fans watching the team beat the (ahem) tar out of Oklahoma.